Promote your business with hands on items everyone uses like Can coolies, coffee mugs, pens, pencils, etc. 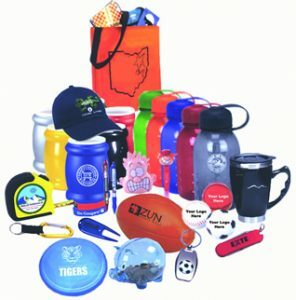 Check out this website for any promotional product under the sun. It will show you quantities and prices. For any questions about these products please call Design Specialties.